After a "low" start at the box office, Namaste England has zeroed in Rs 3.50 crore in two days, as reported by Box Office India. "Namaste England had sealed its fate on the first day with such low collections. It has gone up on day two but it hardly matters as the film is doing business that is far too low," stated the report. 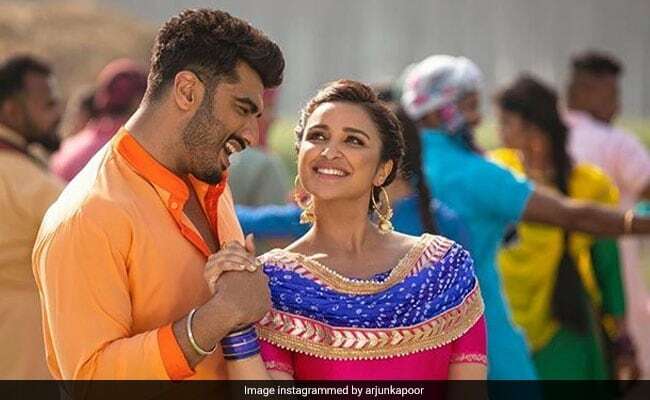 Arjun Kapoor and Parineeti Chopra's new film opened on Thursday to make Rs 1.5-1.75 crore, as was stated in a previous report and on Friday, the film has improved its collection figures and summed up an amount of Rs 2 crore, pushing the total to Rs 3.50 crore and counting. The Box Office India report states that since Namaste England could fetch an impressive footfall on a holiday - Dussera, the chances of it performing better over the next few days is also bleak. Meanwhile, Namaste England clashed with Ayushmann Khurrana and Sanya Malhotra's Badhaai Ho. The film's collections may have been affected by the box office collision as Badhaai Ho has scored over Rs 18 crore in two days, reported Box Office India. Namaste England opened to middling reviews on Thursday. In his review for NDTV, Saibal Chatterjee summed up the film's storyline and wrote: "Param and Jasmeet get married but not before the former's father assures the latter's grandpa that he will not let the girl pursue a career. The couple decides to migrate to England is quest of freedom but, the above-mentioned friend, frim in his antagonism, proves to be an insurmountable hurdle. So Param and Jasmeet gravitate towards Gurnaam Singh (Satish Kaushik in a cameo), a shady visa agent who rustles up a crooked plan that separates the twosome." Directed by Vipul Amrutlal Shah, Namaste England marks Parineeti Chopra and Arjun Kapoor's second film together.